The Finnish shipowners have been leaders and references, as well as testing grounds, for innovations and new environmentally friendly solutions in the maritime industry for years. Environmental innovations that have been tested and taken into use on Finnish shipowners’ vessels have had international success. The development and application of environmental technology are continuously more important in Finnish seafaring. LNG-vessels, rotor-sails and scrubbers are only a few of the examples. The shipowners are using a wide range of tools to reduce emissions and better the energy efficiency of their vessels. The energy efficiency can be developed in many ways, for example with choice of fuel technology, propulsion technology, the design of the vessel and optimization of different kinds. 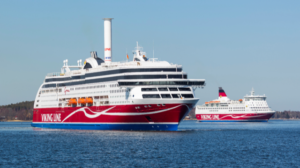 Viking Grace passenger ship of Viking Line and Megastar of Tallink Silja where the first passenger ships in the world to adopt LNG as fuel. Both were built in Turku’s dock, and many of the technology suppliers were from the Finnish maritime industry. 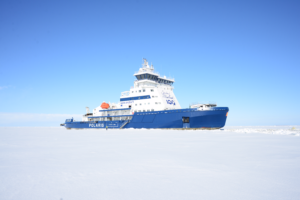 The first ever LNG driven icebreaker Polaris that was designed and built in Finland was completed in 2016. The ship uses both LNG and low sulphate-containing diesel as fuel. During the year 2018, the shipping company ESL Shipping has taken two modern-technology, LNG driven, dry cargo ships into use. The emissions of the new ships will be reduced by 50% compared to its predecessors. The Containership shipping company is renewing its fleet with four new LNG driven ships during the year 2018. Furthermore, Containership is reducing the emissions of the entire logistical chain by bringing in LNG driven lorries to its logistical chain. The company aims to be the first European company to base its entire logistical chain on LNG technology. Lang Tech was granted the first price in the environmental innovation competition for shipping, in Copenhagen 2017 for its sulfur scrubber. The company’s tailored exhaust gas cleaners and modular water management system saves costs, especially when installed in ships that are already in use. The technology was first tested on Lang Ship’s vessels and later introduced in many passenger and cargo ships. Meriaura Group has developed a new ship concept together with its partners. VG EcoCoasterTM is a very energy efficient dry cargo ship, that has been designed to reduce the burden on the environment compared to traditional dry cargo ships. The ship uses Eco Fuel biofuel, that is made out of recycled waste. Eckerö Line’s pilot project reduced emissions by 210 tons by utilizing waste heat. During the project an absorption freezing system, Gadcooler was installed on m/s Finlandia. the system gathered waste heat from the machinery and utilized it in air-conditioning. 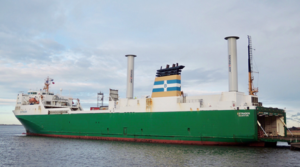 The rotor sail is an environmental innovation that has been developed in Finland and reduces the fuel consumption and thus emissions. The cylinder-like rotor sale rotates using an electronic engine, and causes a change in the air pressure that moves the ship forward. The phenomenon is called the Magnus-effect. The rotor sale reduces the consumption of fuel by 5-20%, depending on the wind conditions. The shipping company Bore tested and was first to install Norsepower’s rotor sale on its cargo ship m/s Estraden. During the spring 2018, the Norsepower rotor sale was installed on Viking Line’s Viking Grace passenger ship. Viking Grace is the first hybrid passenger ship in the world to introduce both rotor sale and LNG. The new ship of Viking Line that will be introduced in 2020 will also be a hybrid ship. 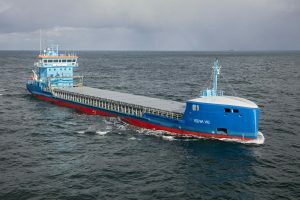 Finnlines has ordered three new roro-ships that utilize new technology. The first ships will be ready in 2020-2021. Because of the advanced technology these roro-ships will be among the most modern and environmentally friendly ships sailing the Baltic Sea. These new hybrid ships will use traditional fuels while in traffic and load lithium-ion-batteries during routes, so that they can utilize the power of the batteries during port visits, thus making the port visit emission free. An innovative air-rotating system under the keel will produce a surface of bubbles on the bottom of the ship to reduce the hydrodynamic friction and therefore reducing fuel consumption and ultimately emissions. Reducing and gradually eliminating the CO2-emissions is one of the biggest targets for research and development in the maritime sector globally. Possible ways of accomplishing this are for example hydrogen and methanol-based fuel cells. Finland is also at the forefront of researching and developing fuel cell solutions. Utilizing electricity is rapidly increasing also in seafaring, especially on short ferry-routes and during the time in ports. The Elektra-Ferry started on the route between Parainen and Nauvo in summer 2017. 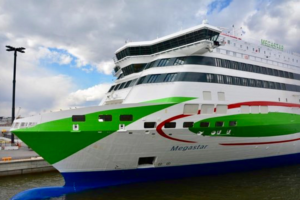 It is the first electricity driven hybrid-ferry, which uses natural gas-fueled batteries as its primary source of energy. The electricity driven Elektra is 90 m long, 16 m wide and has the capacity to carry 90 passenger cars.